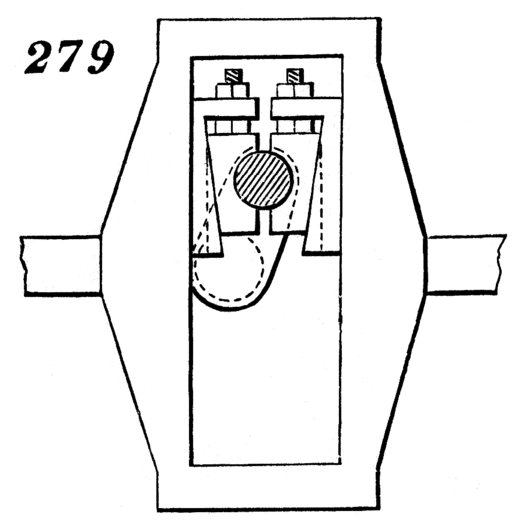 279. Crank and slotted cross-head, with Clayton’s sliding journal-box applied to the crank-wrist. This box consists of two taper lining pieces and two taper gibs adjustable by screws, which serve at the same time to tighten the box on the wrist and to set it out to the slot in the cross-head as the box and wrist wear.